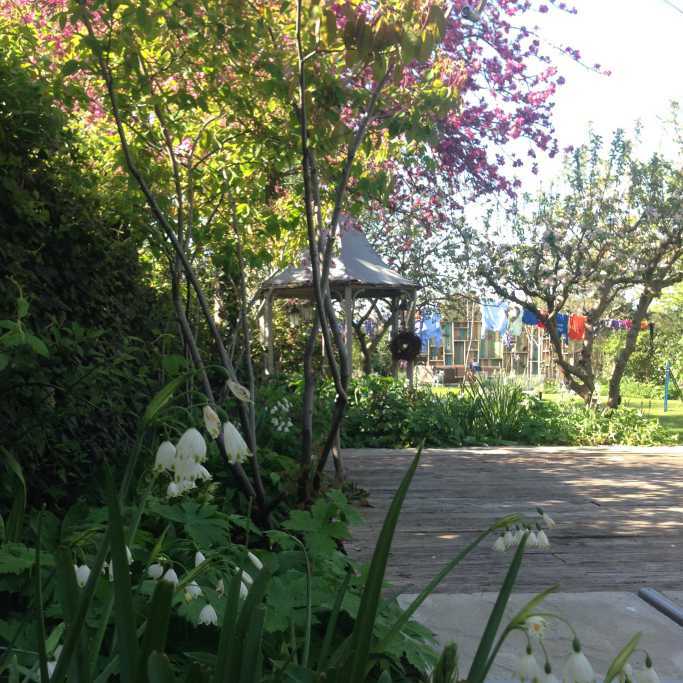 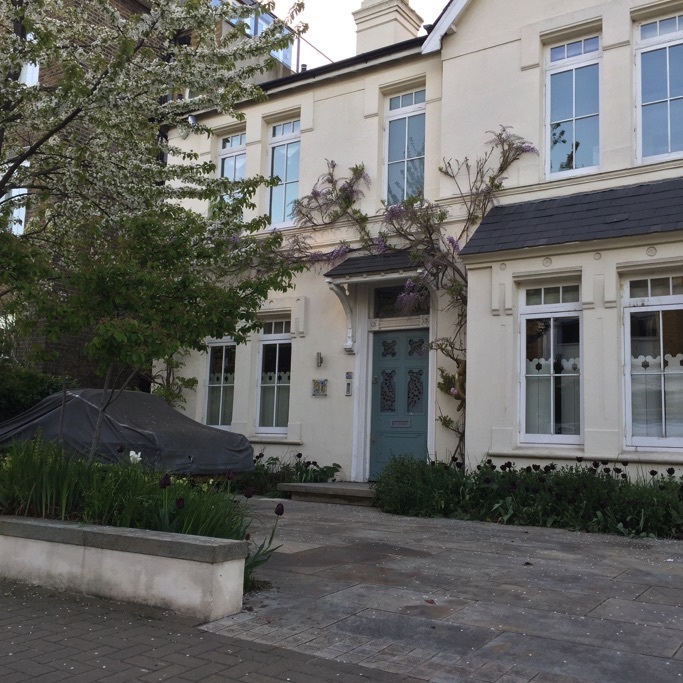 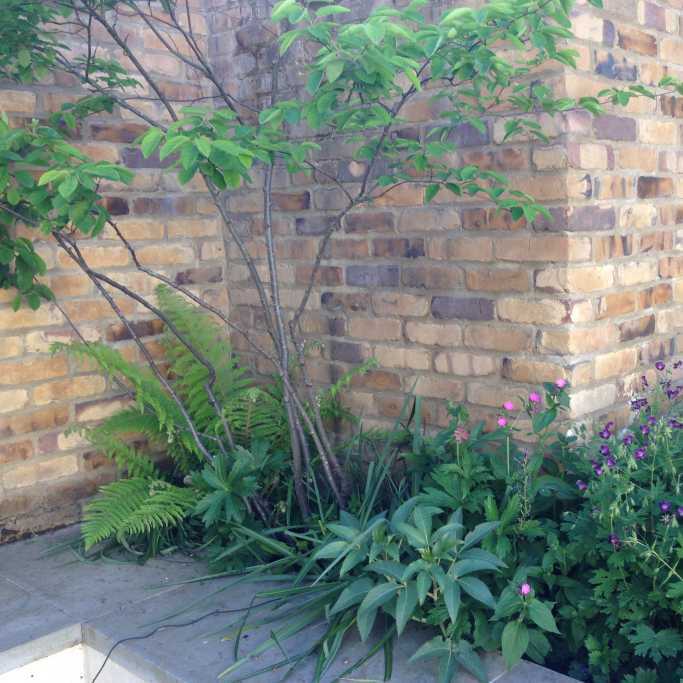 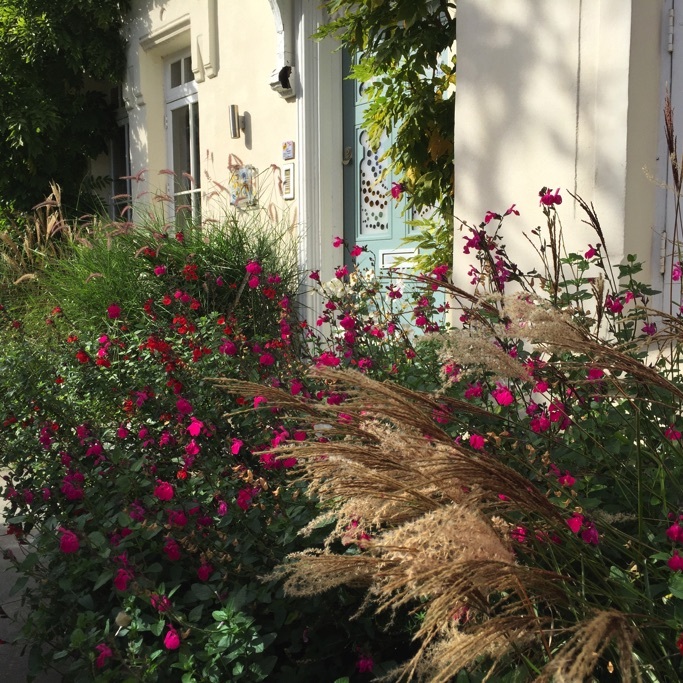 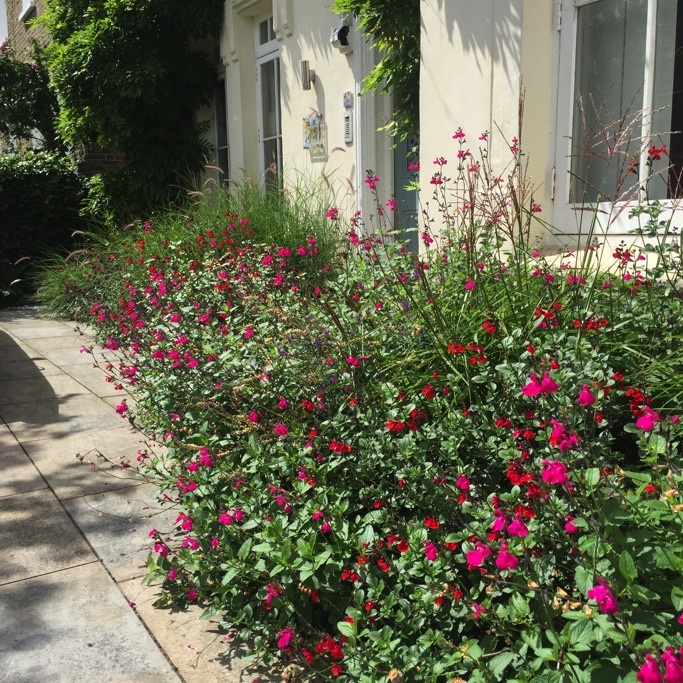 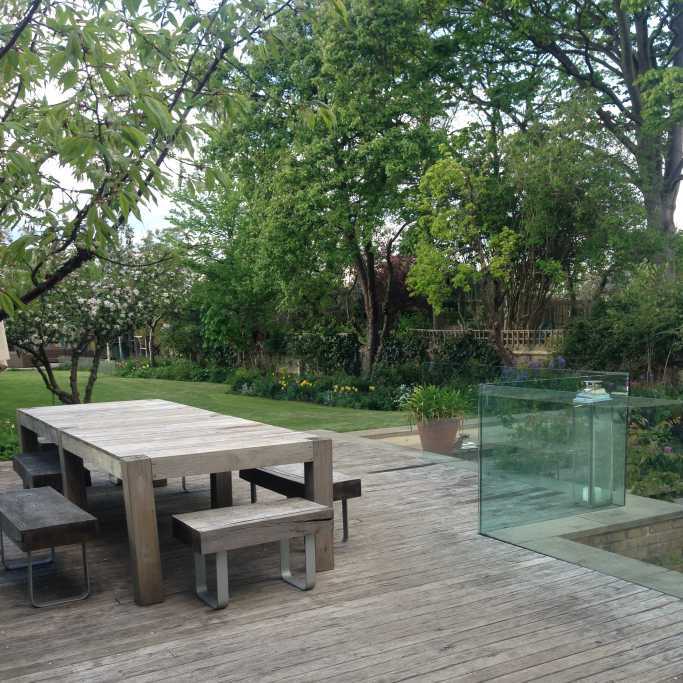 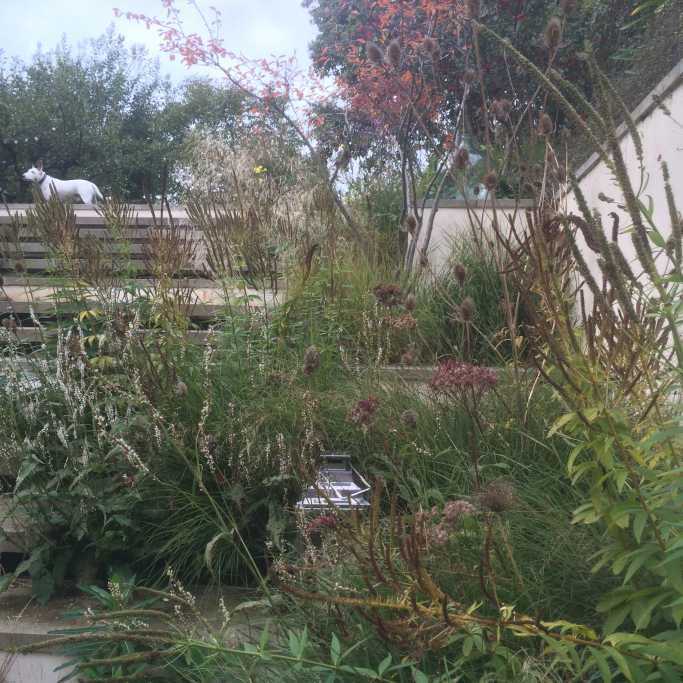 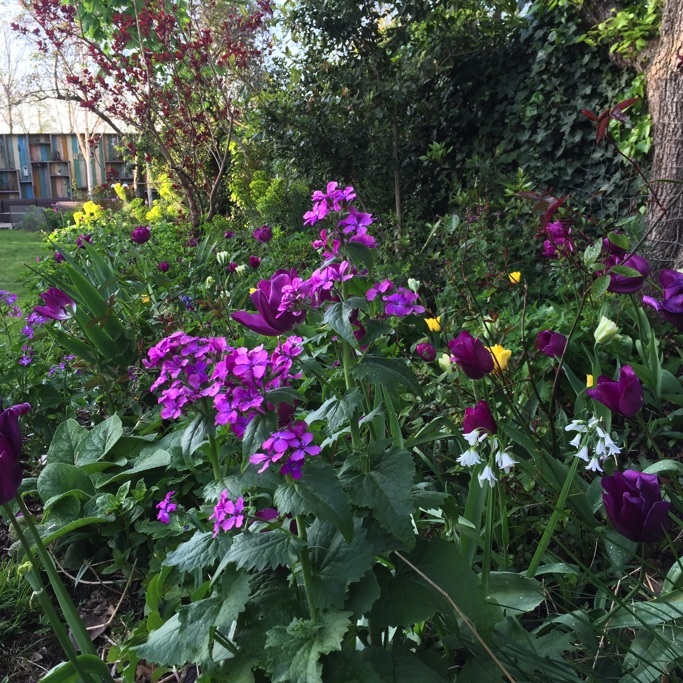 In September 2014 we were called in to rescue this large london garden, which had become very overgrown.The hard-landscaping was fortunately still in good condition, so we only had to rejuvenate the planting. 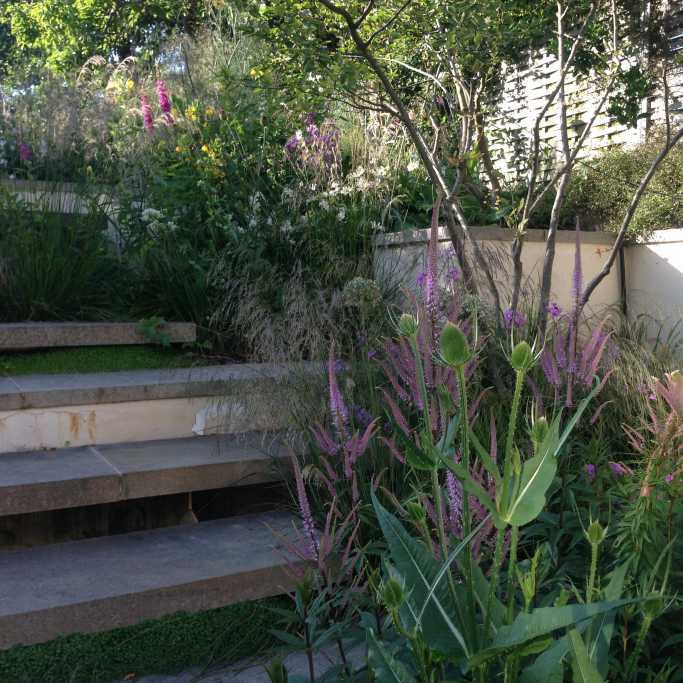 We have had fun with creating a dramatic contrast between the sharp lines of the hard-landscaping and the soft naturalistic planting. 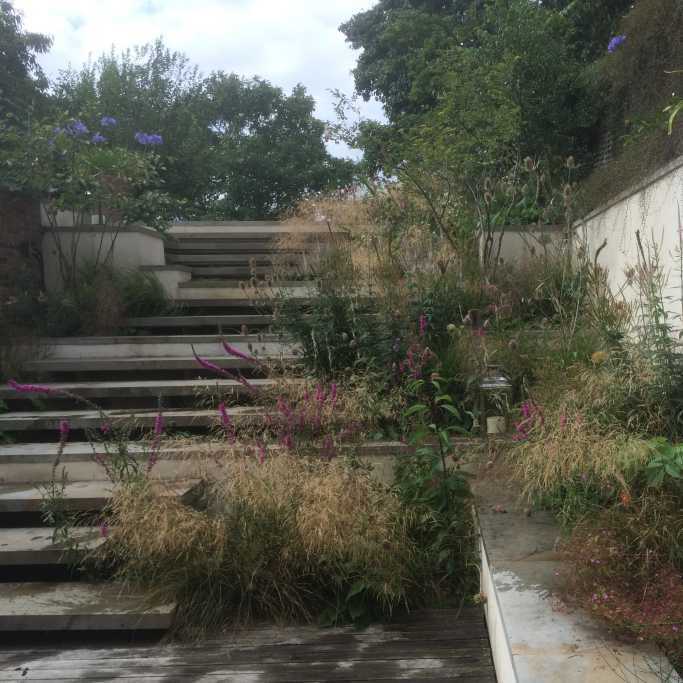 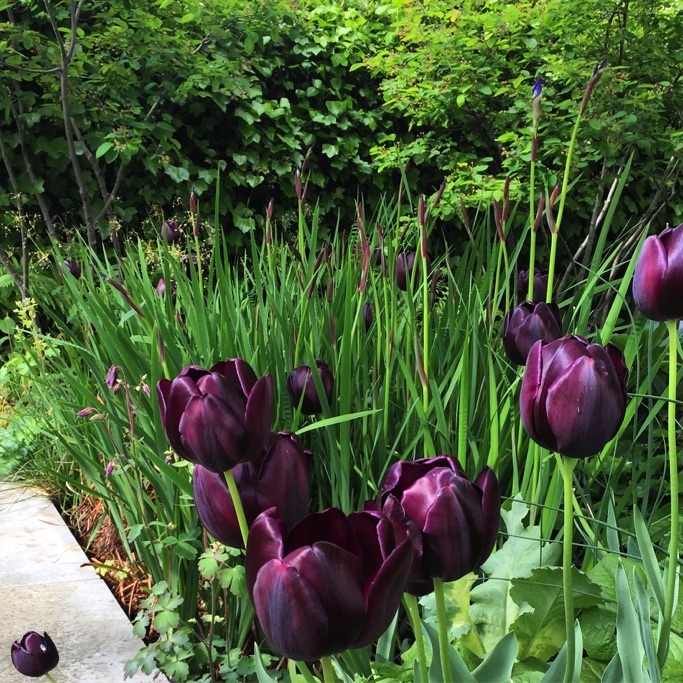 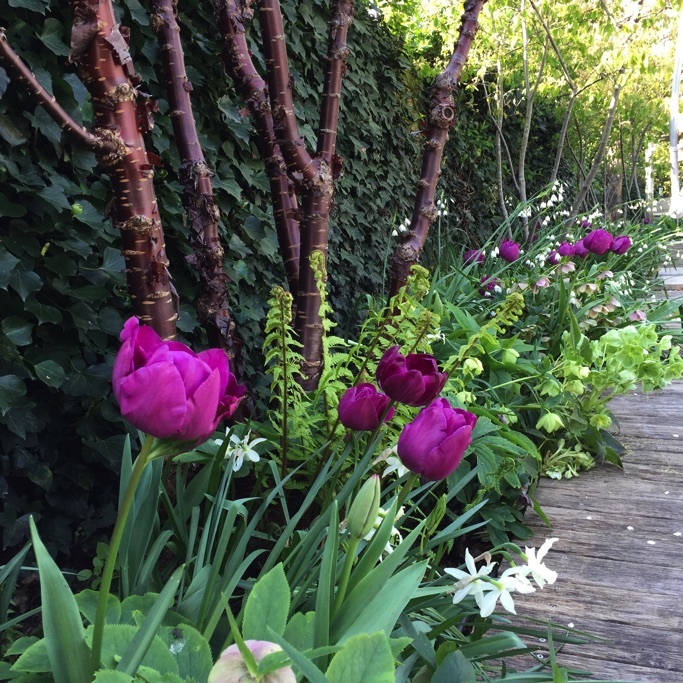 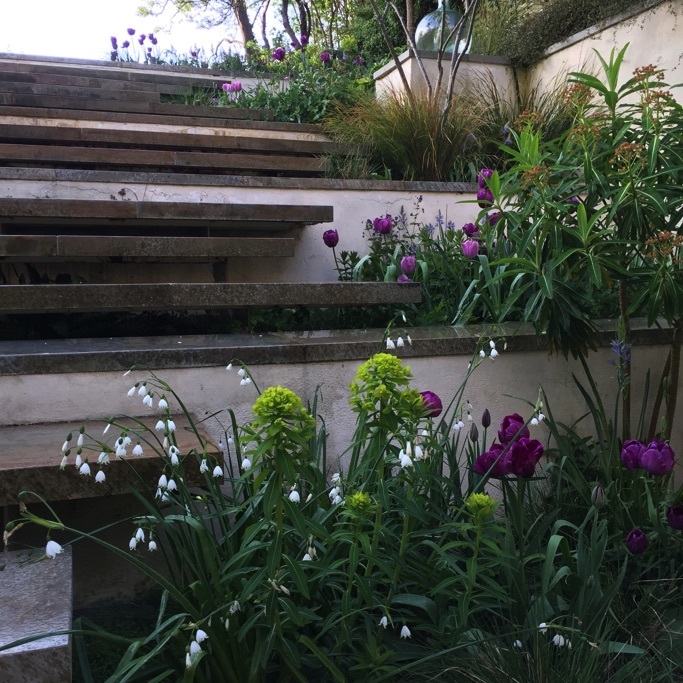 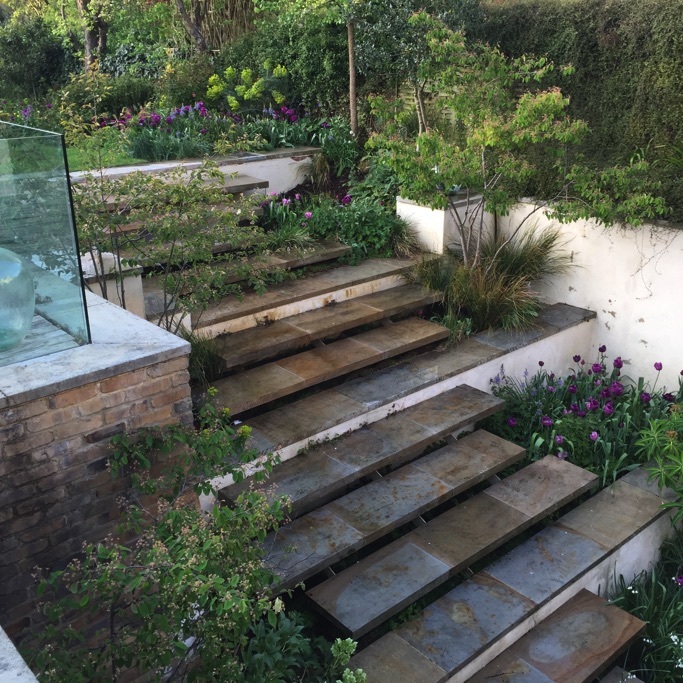 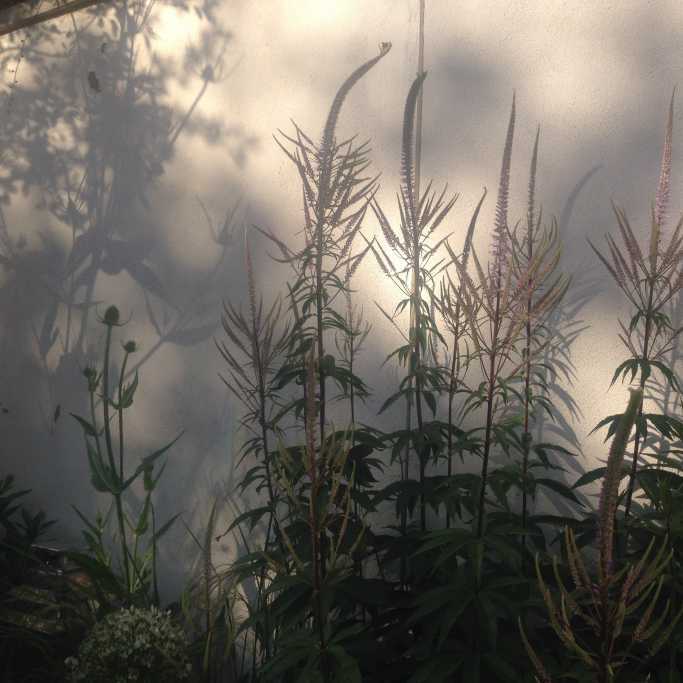 The planting beside the steps, down to the basement, is very prominent from the kitchen and terrace, so we have put in large drifts of multi-layered, high-impact perennials. 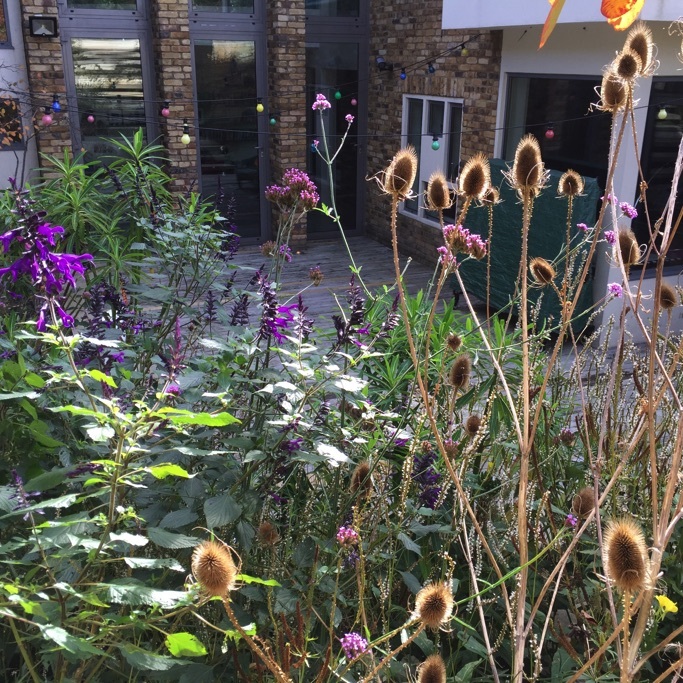 We moved the shade-tolerant plants from the sunniest positions and replaced them with more colourful and long-flowering perennials. 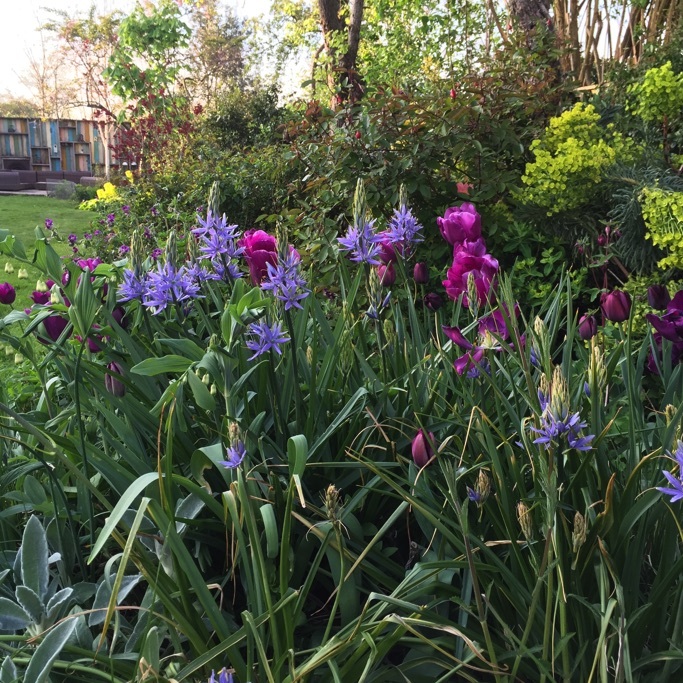 These produced a good show in their first summer and we continue to add more layers. 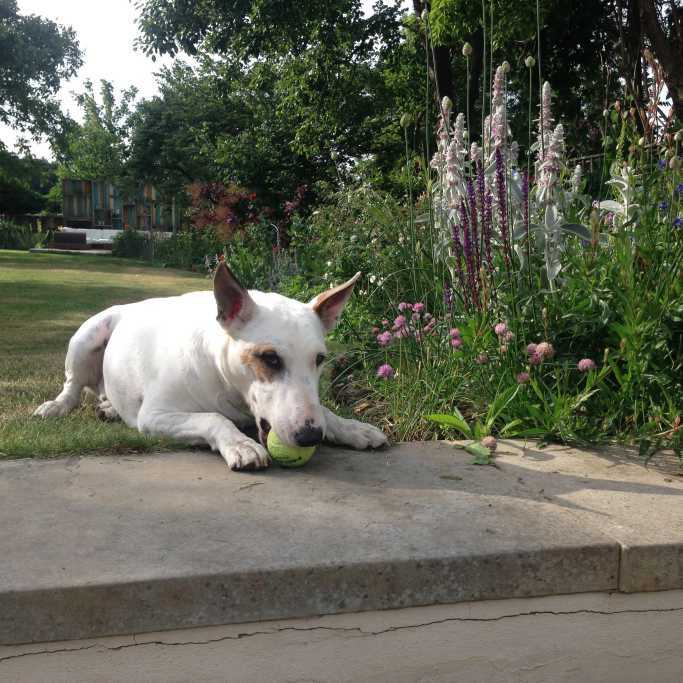 The planting has to be football and dog-proof, so we have had to choose resilient plants, especially beside the lawn.